Stop the presses—NBC News just blew my mind! Did you know that 60% of people can’t change a flat tire? Sixty percent. I’m looking at you, fellow millennials. You’ve got to step up your game. But it’s cool—we’ll get through this together. If you haven’t learned how to change a tire just yet, take a look at this handy guide from the DMV. This news story really got me thinking. If so many people are underprepared for such a common emergency situation, they could probably use some help preparing for other car-related emergencies. 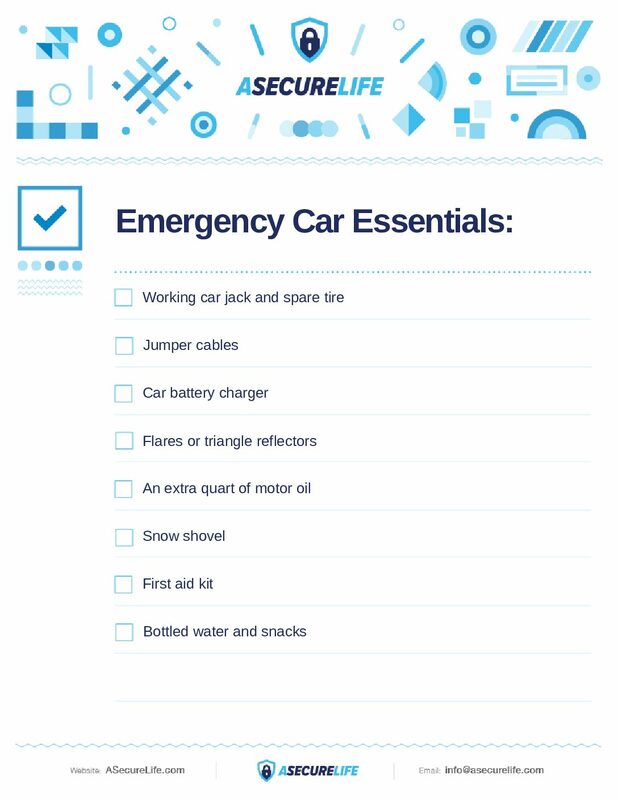 I’ve narrowed the potential problems down to two types of car-related emergencies that you should prepare for—mechanical/recovery and emergency/survival—and compiled a checklist to help you put together your own emergency car kit. Click the button below to print out a checklist for your personal use. Most types of car trouble fall under mechanical or recovery problems. Many of these emergencies can be fixed or even avoided with proper preparation. You should change your oil every 3,000–5,000 miles—it’s also a great time to top off any fluids or change an air filter—and rotate your tires at least twice a year. These regular maintenance practices will help you cut down the likelihood of a roadside emergency. But sometimes emergencies just happen, even when you’ve done your due diligence and kept your car well maintained. A flat tire, broken windshield, engine trouble, or simply running out of gas could all leave you stranded without warning. With a little bit of know-how, you can fix most mechanical or recovery emergencies yourself—if you have the right tools—and get back on the road. I’ve highlighted a few specific items with some tips on what to look for and included several common items you’ll need in order to tackle different mechanical or recovery roadside emergencies. A flat tire ranks atop the list of most common roadside emergencies. You need to know how to change one, but in order to do that, you’ll need the right tools. Check your car and make sure you know how to access the spare tire and the jack—or that there is one. 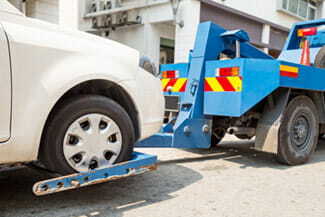 Most spare tires and jacks can be found inside the trunk or underneath the rear of the car. If you have a used car that is missing the jack or if you have misplaced it, make sure to buy a jack that can support the weight of your car. 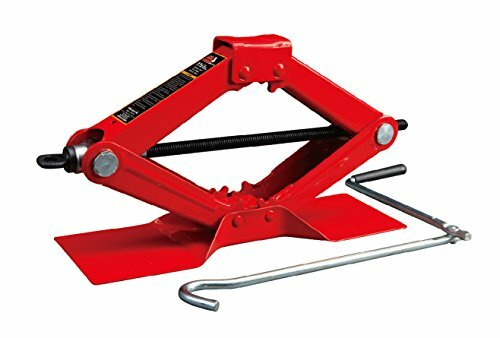 I suggest taking a look at this Torin T10152 Big Red Steel Scissor Jack that can support up to 1.5 tons. Have you ever left your lights on in the parking lot and come out to find you car battery completely drained? Yep, me too. Make sure you have jumper cables in your car so you can awkwardly ask a complete stranger to help you resurrect your dead battery. 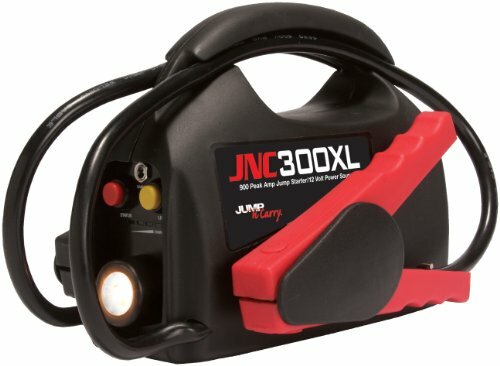 You’ll want jumper cables that are long enough—at least 20 feet—to connect to any kind of car, truck, or SUV. Also, double-check and make sure you have the right gauge of cable for your car. 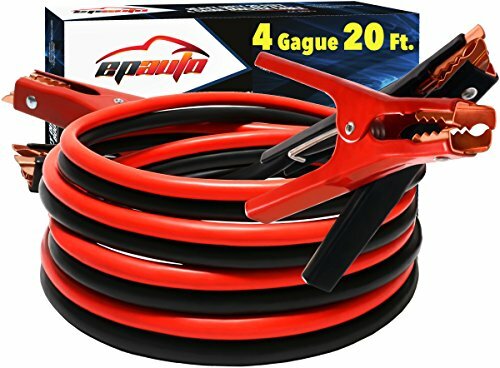 I use these 4-gauge cables from EPAuto. But what if you’re stranded somewhere without a friendly stranger to help jump your car? An emergency car battery charger costs more than most of my other recommendations combined; however, it’s the one emergency car kit item I recommend spending extra on. Let’s say you’re out camping or hiking, miles away from help or cellular service and you accidentally leave your dome light on. Something like the Jump-N-Carry jump starter could be the difference between you getting back on the road or spending the night in your car. An emergency car battery charge gives you a solution to a dead car battery that doesn’t rely on the random good Samaritan passing by. Sometimes getting back on the road just isn’t going to happen and you need to prepare yourself for the possibility of being stranded until help arrives. Prepare for anything from serious accident recovery to getting stuck in extreme weather by keeping these items in your car at all times. According to the National Fire Protection Association (NFPA), 20% of all reported fires are car fires. Vehicle fires generally fall into Class B (flammable liquids like gasoline or diesel fuel) or Class C (electrical) fires, so you’ll need a fire extinguisher that can handle both. I’ve got the First Alert FIAFESA5 extinguisher bolted to to the floor just in front of the passenger seat in my car so I have easy access in an emergency, but also so it won’t roll around and bang into stuff when I’m driving. Some safety features inside your vehicle, like seatbelts, airbags, and windshields, can also be a hindrance after an accident if you need to get out. Many accidents make it so you can’t simply unbuckle your seatbelt or open your door when you need to. And in extreme cases, you may need to get out very quickly. 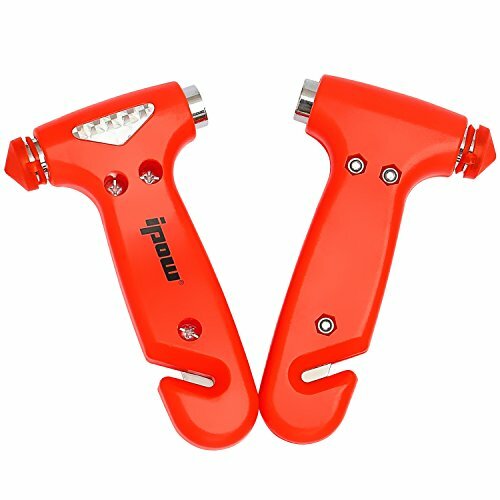 Keep a car escape tool or pocket knife where you can reach it from the driver’s seat so you can cut through your seatbelt or break a window if you need to to get out. It might be a good idea to have an extra where the passenger can reach as well. Everyone in my family has a two-way radio in their car at all times. I’d say 99% of the time it just sits in the glove box or center console and does nothing because we all have cellphones. But in an emergency situation, whether your cellphone dies, it gets destroyed in an accident, or you’re simply out of range for cell service, it’s nice to have a backup plan if you need to call for help. Find a two-way radio with a range of over 20 miles and a long battery life (8–10 hrs). Also, look for one that includes weather channels, so if you’re going to be stranded while you wait for help, you can prepare for whatever conditions lie ahead. 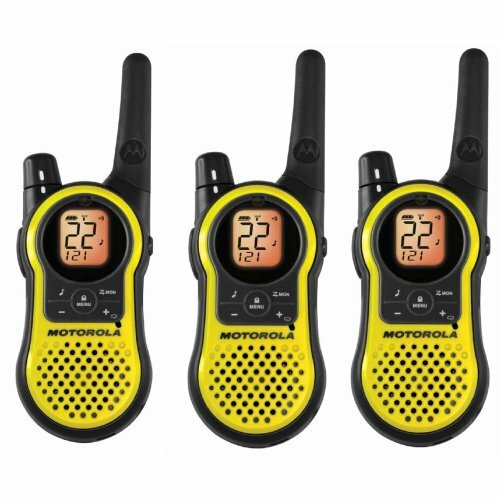 This Motorola 3-pack meets all of the requirements for less than $100. With any luck, you won’t need to use any of these emergency items anytime soon. If this sounds like one of those “hope for the best, prepare for the worst” speeches, it’s because it is. The bottom line is that having an emergency car kit packed in your car could save your life. So get on it. And learn how to change a tire while you’re at it.